If you love chocolate cake, this cake is for you - it’s fudgy, decadent and so moreish. And it’s ridiculously easy to make. By boiling most of the ingredients together you get a thick chocolate syrup that sets the tone for an unbelievably moist cake. This cake was inspired by time in Piedmont (the home of the hazelnut) so I’ve topped it with a rich hazelnut buttercream. Serve with a big scoop of vanilla ice cream or crème fraîche. P.S. You can buy hazelnut meal from health food stores but if you can’t get your hands on some then buy hazelnuts and grind them up in a food processor. Place the butter, sugar, bi-carb soda, cocoa powder and water into a medium sized saucepan over med heat. Gently bring to the boil and then simmer for 5 minutes, stirring occasionally. Leave to cool for 30 minutes. Pre-heat oven to 180°C and butter and line your cake tins. Once cool, whisk eggs together in a small bowl. Add whisked eggs to the chocolate mixture along with hazelnut meal, self-raising flour and a pinch of sea salt. Stir until combined. Pour into cake tins and place in the oven for 30minutes until risen and bouncy to touch. You can insert a skewer to check the cake if you doubt yourself. Leave cakes to cool on a cake rack. Toast hazlenuts in the oven for 3 minutes until golden, set aside. To make the icing, place the butter into a bowl and using electric beaters, beat for 3 minutes until very creamy. Add icing sugar and nutella and continue to beat for 2 minutes. Lastly add thicken cream and beat for a remaining 2 minutes. Spread one third of the icing over the top of one of the cakes. Gently place the other cake on top. Spread remaining icing over the top of the cake and sprinkle with toasted hazelnuts. 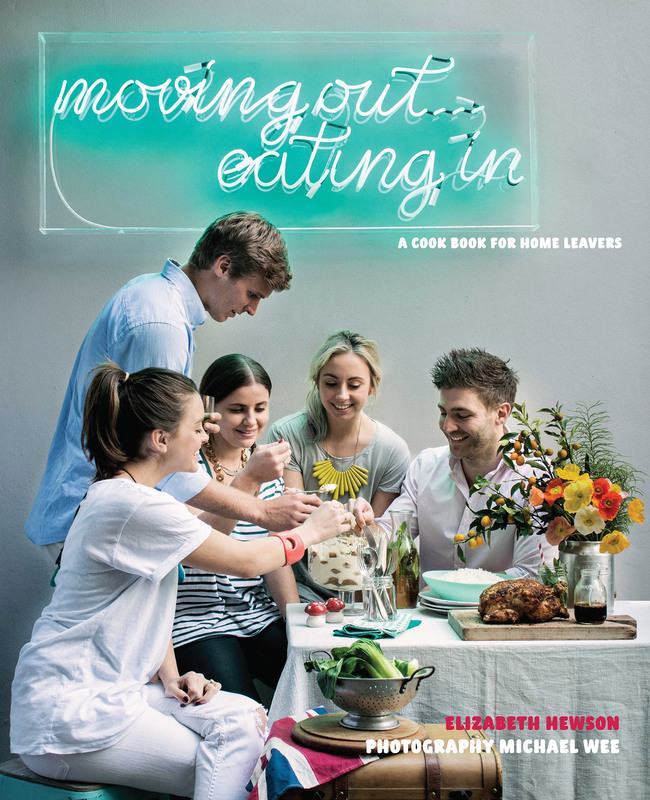 In 2013, I wrote a cook book for home leavers.